Olivier nominated for Love Never Dies, Canadian born actor/singer Ramin Karimloo will perform his cabaret act at Sterling's Upstairs at the Federal April 21-22. This will mark his cabaret debut in Los Angeles, and all three performances are already sold out. Renowned on the UK stage for every role in Les Mis including that of Jean Valjean and also for the Phantom in Phantom of the Opera and Love Never Dies, Karimloo performed on the Oscar telecast in February singing "One More Day" alongside Hugh Jackman, Ann Hathaway, Eddie Redmayne, Samantha Barks and others from the cast of the film Les Mis. In our chat, Karimloo talks about career past and present as well as his love of music that includes bluegrass as well as Broadway. Tell me how your singing career began in Canada. I didn't have the finances to train and the idea of going to debt court, with my background, kind of scared me, so I started working on cruise ships. These were British based companies. I remember when I first auditioned, I had never seen a musical in my life apart from Phantom and Les Mis. I didn't know any musical theatre songs. I didn't know how to dance. So, working on the cruise ships was my theatre school. You never even sang as a kid?! I had never had a singing lesson. I like country music and bluegrass and rock...on the cruise ships...I still hadn't seen films like The Wizard of Oz, The Sound of Music...but, I learned. We did like ten different revue shows, a music theatre show, country-western... I learned a lot. I was working with people who had done West End, so at this point I'm getting the bug for it and enjoying it. Then there was someone on the ships, I'll never forget the story... he gave me grief about my unorthodox background. When I was on deck during the days, I'd be reading Strasberg's teachings, Stanislavski's, Meisner's...because I want to be Daniel Day Lewis, he's my idol. I remember this guy's words, "You'll never make it to the West End, and you'll never get an agent like Michael Garrett if you continue the way you are." There are so many different roads. If I had the funds, I totally would have trained, the orthodox way. Because there's something to be said about a two-year course, what you learn, the references, the connections, the social aspect of it, it's a great thing to do. He had done West End, and I didn't rate him. I thought, "If he could do it, I could do it." So, I decided to move to England and give it a shot. Long story short, two years later, who's my agent? Michael Garrett. I remember, by chance I was in this vocal coach's house to learn some theatre songs. He liked the fact that I was untrained, I was raw. And he said, "Let me bring in my friend, who's an agent." And I'm thinking, "Here we go, another I'll make you a star, kid!" Anyone who says that, walk out the door! And in walked Michael Garrett. "Holy crap, this is the guy they said I'd never get!" He said, "I really like what you do. I can't promise you anything, but I'll try and get you auditions." I thought, "That's the most honest thing you could say. Let's do it!" We had a great seven-year relationship. What was the first show you did? Not only that, it was with the New Shakespeare Company at Regent's Park, open air, which is... I didn't realize at the time... just how prestigious that job was. I'd never stay in my dressing room, I'd be in the wings. I was understudying the Pirate King. I did not want to go on; I just wanted to watch and learn. This was rep season. The best training! For me knowledge is power. Knowledge inspires me. The more I learn, the more I'm prepared. Even from those you don't like, you can learn from watching them. But, what I lacked...I don't think instinct carries your career... you need technique. Frankly when quite rapidly my career started doing good things, and I started making money, I put that toward tuition...it's funny, the moment I got nominated for an Olivier, instead of celebrating, I phoned an acting teacher and said, "I want to take some one to ones." I thought, "An Olivier nomination. A fraud!" So, I got a great acting coach. What you get, you can give back. I never want to rest on my laurels. I never want to meet expectations. What came after Pirates of Penzance? Was it directly into Phantom? Sunset Boulevard. I did it with Faith Brown as Norma Desmond. I was a last minute sub. They needed someone quick to play Artie Green. I had two rehearsals and I was on with Artie Green. After two days, they said "You go on as Joe Gillis in twelve days." I can't remember the words to "Sunset Boulevard", let alone the whole script. Twelve days! I was 22 years-old. I remember the line"Forty-two inch chest..." I have it now, but at the time I was a skinny little kid. My whole career I had been technically too young for things, taking on these different roles. They came to me; I didn't ask for Joe Gillis. I loved it! I'd love to have it now, when I'm more suitable for it. The scenes when he first meets Norma Desmond, it's a gift. "Salome!" I loved his interaction with the audience. Joe Gillis is there to serve Norma and tell that story. Let her be the star. You just carry the audience with you. Like Phantom, it's one of my favorite Andrew (Lloyd Webber) shows, because the book, the music, the lyrics... it takes you back to that era. They work so well together. I love being in LA now driving down Sunset Boulevard, I think of those lines, "You take away my car, you might as well cut off my legs!" I totally understand that now. You've played every role in that, right? It feels like it. On the Japanese release of my album, I did "I Dreamed a Dream", so there's my Fantine as well. (we laugh) I first went into Les Mis as an understudy. My agent didn't want me to take it, because it wasn't a lead, but I did. I wanted to learn. I wanted to be in the ensemble and learn what it's like to do eight shows a week. Understudying for that was the hardest job, but I'm so glad I did it. I understudied Hadley Fraser, and we've been friends ever since. We've become this theatre couple. We're in this bluegrass band together. In my most recent stint of Les Mis, he was Javert. Do you have a favorite role from Les Mis? 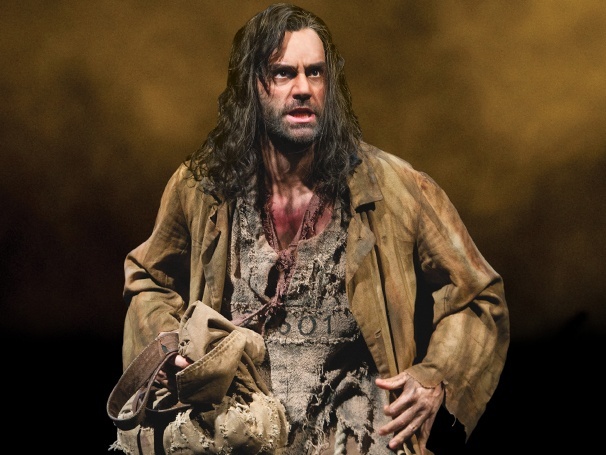 Is Jean Valjean your favorite role so far, more so than the Phantom? Over those two, I would take Valjean. There's more you can do with it, and the payoff is...even though you're not playing a caricature, but you do span 40 years with this guy's life. As an actor, it's a dream role. I used to think "What role do I need to take my career to the next step?" I don't think like that anymore. If I get an offer or I go for something, will I have fun doing that? Then that's my answer. If you're having fun, you're doing your best work. There's no point in going into a new show because it's new. And it can be up for awards, but I don't want to do it. There's no fun. I'd love to do Guido in Nine in a couple of years when I'm a bit older. Stanley in Streetcar, I'd love to do that, but my arm is full of tattoos, so I don't know if they'll let me do it. Let's switch gears to your upcoming cabaret. How does the bluegrass play into all this musical theatre? I've always loved country and bluegrass. What I like is the storytelling. And what's music theatre but storytelling!? When I do concerts, I don't want to do a music theatre concert. I don't find that as enjoyable. I want to save that for the part; I want to save it for when I'm actually doing the musical. When it comes to concerts, you've got to be yourself. There's no more character! So when I started recording and doing music in a night of concert, I thought how do I strip the character away and let it be Ramin singing it and enjoying the song? "Bring It Home" is so beautiful as a prayer. Les Mis is actually written for French folk singers. So, I started learning the banjo and started writing folk music. For fans that still want to hear what they've known me for, I thought, How can I present it so that I don't feel like I'm singing a song just because they want to hear it? I want them to get my heart. Broadway to Bluegrass. It all started with "Oh, What a Beautiful Morning"! I started to think why don't I do it like Mumford and Sons in 6, 8 rhythm. Real hoedown. How would it sound if the people of that time with those instruments... if it becomes authentic? So then we did that with all the music. "Music of the Night" just with fiddle and guitar. I sing it as it's written. I don't put a country twang on it. I sing it as authentically as possible. I toured America last year, and we played where Johnny Cash used to play, and Alison Krauss. I'm not great on the banjo, but I'm getting better. What I learned is that you don't have to be perfect to be authentic. It's your heart that's authentic up there. Will there be a lot of your own material in the Federal show? When we do the Federal, there'll be more theatre content because of the venue. I always think you have to be gig appropriate, and it's my first time here. I will do some songs I've written, but I'm going to do a lot more theatre than I did on the first tour. I've got this version of "Empty Chairs" where a banjo comes in. It starts with just guitar, then the banjo kicks in to give it...the texture of the banjo can be quite haunting. It sounds beautiful. "Bring Him Home" just with fiddle. It's intimate. I love that. I'll only have three musicians on stage with me. We're not going to pretend to be an orchestra. I'm not going to get a synthesizer. We're going to be authentic. What you see is what you hear, and what you hear, is what you see. Let's just be true to that! 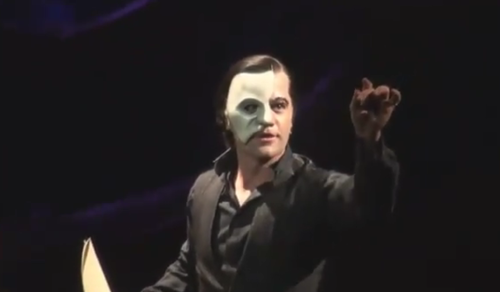 That pretty much describes Ramin Karimloo. He is very sincere and passionate about what he does. What you see is what you get. 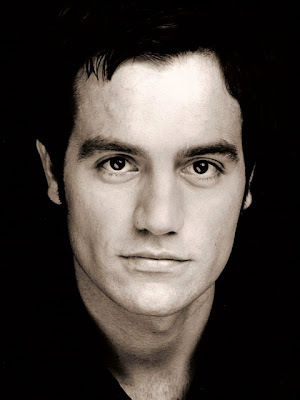 I have listened to his CD Ramin, and it is simply gorgeous, so I can't wait for this concert. 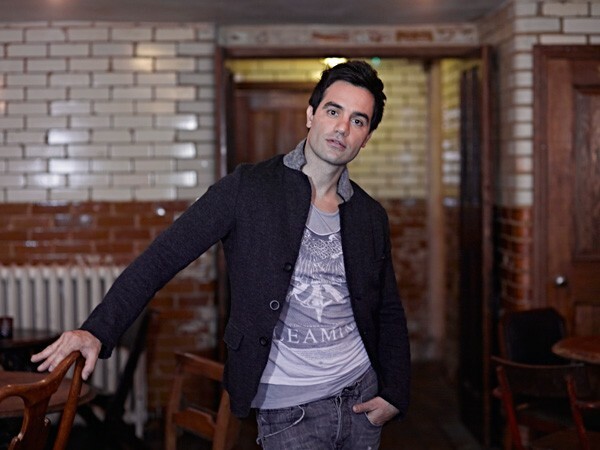 Ramin’s Sunday, April 21 show at 5:30 – 6:00 pm dinner seating, 7:00 pm show is sold out. Three shows are scheduled with him including a matinee at 1:30 pm on Sunday, April 21 added as the third show, and Monday evening April 22 at 8pm, which at this point are also sold out. He holds the record for number of sales in all of almost 7 years at Sterling's. Also the quickest sell outs ever for each show.